Mechanical measurements lab gives a technical ambience and familiarization of various precision, calibration and measurement equipment used in the mechanical industry and provides hands-on training with testing and measurement of various specimens using the precision instruments available in lab. The various parameters measured using the instruments include torque, vibration levels, sound levels, temperature, rotating speed, relative humidity and so on. Profile projector with high magnification ranges is available for measurement and accuracy testing of various threads. Heat Engines lab helps the students to familiarize with various types of IC engines (both petrol and diesel) and conducting load tests on them. The lab also has Refrigeration and Air Conditioning test rigs as well as facilities to analyse and understand heat flow during various processes. The student also can also determine the absolute and kinematic viscosity of oils. CAD/CAM lab is a fully air conditioned laboratory equipped with 36 work stations and one printer. The system specifications are Intel core i5 – 4570 CPU @ 3.2 Ghz (35 nos) and Intel Xeon CPU-1225 @ 3.2 Ghz (1 no). Each one contains 8 GB DDR3 RAM, 1 GB graphics card and 500 GB HD. The systems are installed with Windows 7 professional 64 bit operating system. The lab is equipped with various engineering software like SolidWorks, Ansys, Matlab etc. The lab also contains a multi-function printer. The row wise arrangement of the systems and the provision for ceiling mounted projector helps in conducting technical hands-on workshops in the lab. CAD/ CAM Lab offer the students a chance to garner knowledge in the software used in the field of engineering design. Fluid mechanics is one of the core sections in the Mechanical Engineering field dealing with the fluid properties, type of flow and the equations governing the behaviour of fluid. The students are given exposure to the various theory portions covered in the syllabus by the experiments arranged in the Lab. This well-equipped lab is suitable for conducting various experiments related to the basics of fluid mechanics, fluid flow and flow measurement. Students are given the best opportunity to clearly understand the concepts they were taught in Fluid Mechanics theory. The Hydraulic Machines Lab provides the students an ample opportunity to familiarise with both pumps and turbines. The lab is equipped with various pumps that come across in our day to day life such as centrifugal pump, reciprocating pump, gear pump and so on… The lab is also equipped with commonly used turbines in power generation like Pelton Wheel, Kaplan and Francis Turbines. In short, Hydraulic Machines Lab helps the students to understand the working of pumps and turbines in detail. The Mechanical Engineering Workshop was established at the institute in the year 2012. The Workshop is organised into 4 sections – Fitting, Carpentry, Smithy and Foundry- and is housed at the administrative block. There is also provision for study of some basic machine tools and for obtaining weld joints. This workshop will cater to the requirements of first year students. The activities of the workshop are coordinated by the faculties of the department with the help of lab staff. 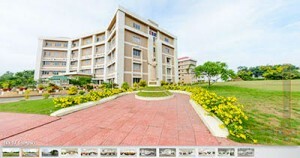 The present facility can be utilized by 66 students at a time. The students get to know the conventional methods by doing the experiments on their own.